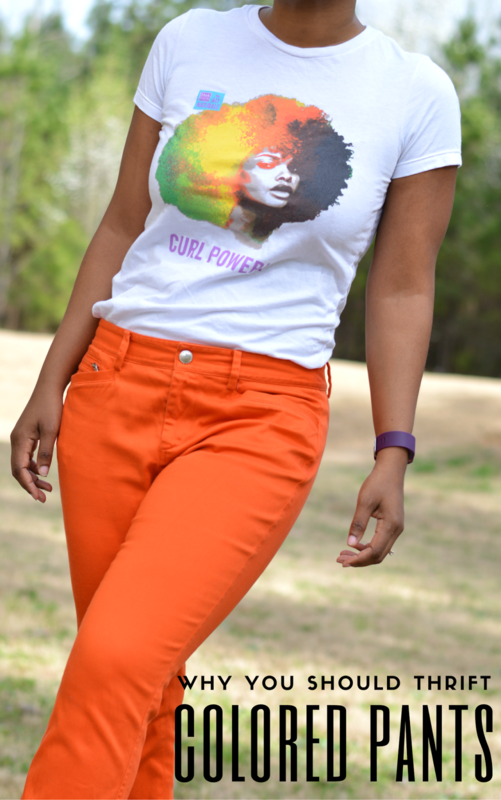 I like wearing orange on top because the color looks great with my skin's undertones. Overall, orange is just an awesome color which is why I didn't pass on these brightly colored pants at the thrift store. They're a nice change from plain old blue jeans. The cut of these pants in particular is also pretty amazing. They're not tight or too relaxed. Perfect for a casual day. 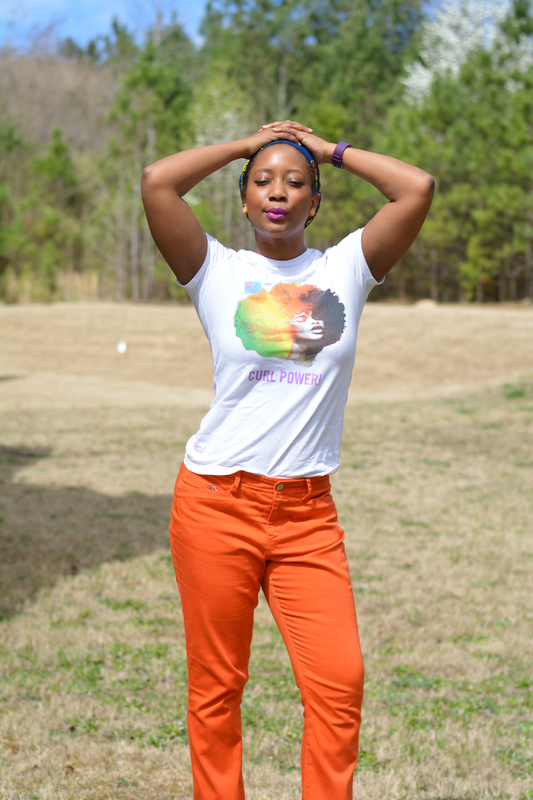 If you're ever on the fence when you spot bright pants in a sea of black, blue and khaki pants, here's why you should absolutely grab them! It doesn't make you look fat. 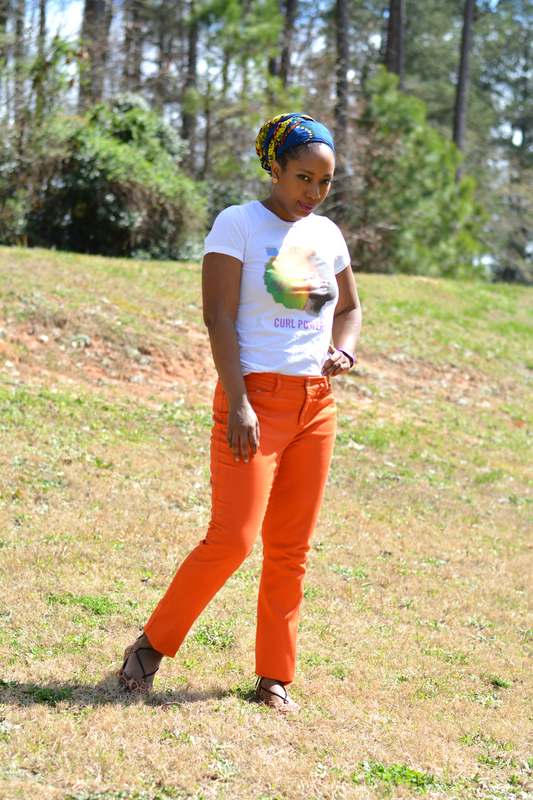 When I saw these bright orange pants, I didn't know if I wanted to go highlight all the everything on my lower half. I had nothing to be afraid of. I don't look bigger. In fact, I think the cut of these particular pants makes me look slimmer. Bright colors set the mood. Bright colors are my happy colors. I especially love bright colors on overcast days. It's like I'm bringing my own personal sunshine. The day started out kind of grey and dreary but the sun eventually came out. 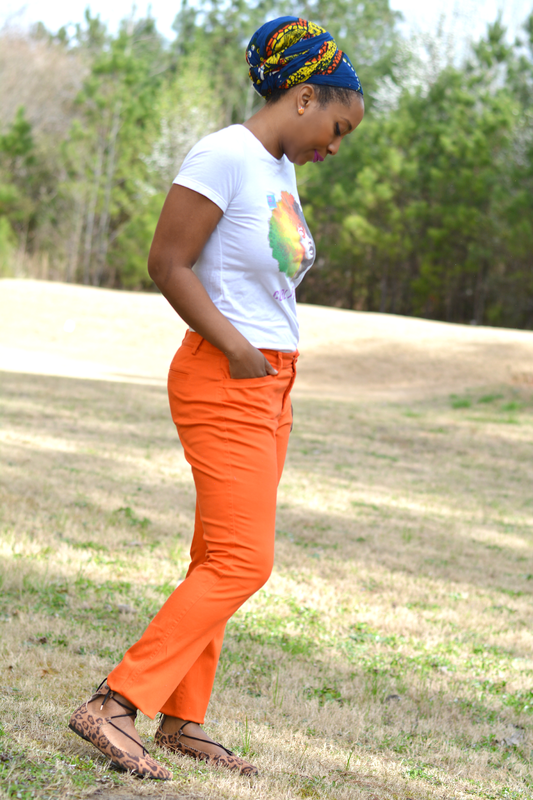 Perhaps bright pants literally make a bright day too. Orange is more versatile than it appears. They can be a bit of a style challenge. 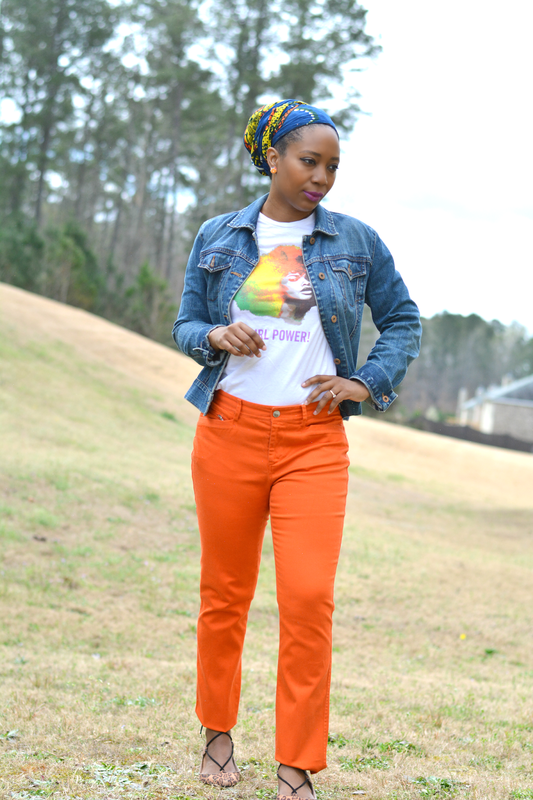 At first, I was going to reach for my trusty chambray shirt then I realized I had already gone there recently with the orange vintage pants outfit. 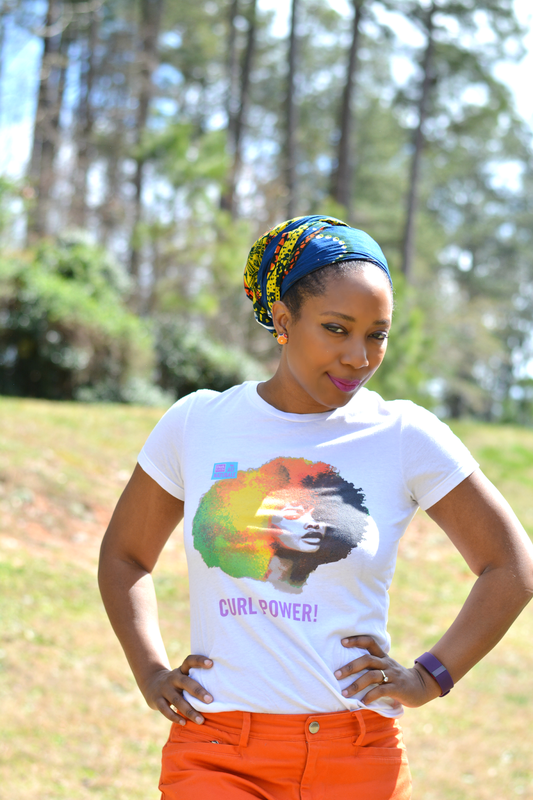 Instead of toning the color down, I went for more color injection with a bright ankara headwrap, colorful t-shirt, and orange button earrings. I did return to basics with a jean jacket though. 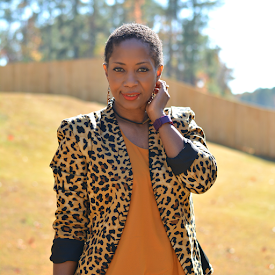 Leopard print and orange are another sure bet when pairing with orange. Do you wear colored pants?